The image gallery below is a product of a competition to celebrate our 30th year in business. We have decided to retain and add to it as it clearly illustrates the broad and diverse range of applications our customers are involved in and the environments in which you can find our equipment in use. Our thanks go to our contributors! If you have an image you think would fit in this gallery we would be very happy to hear from you by email to gallery@moor.co.uk. If your image is used, we will send a £50 (or equivalent) Amazon voucher to you as a token of thanks! “Small Print” By participating, you are granting permission for Moor instruments to use your image(s) on our website (and/or other promotional platforms) and confirming that appropriate permission has been secured from any subjects. The gallery is open to all customers and overseas distributors, but not to employees of Moor Instruments Ltd, Inc or GmbH. Image submitted by Aisah Aubdool, London UK. 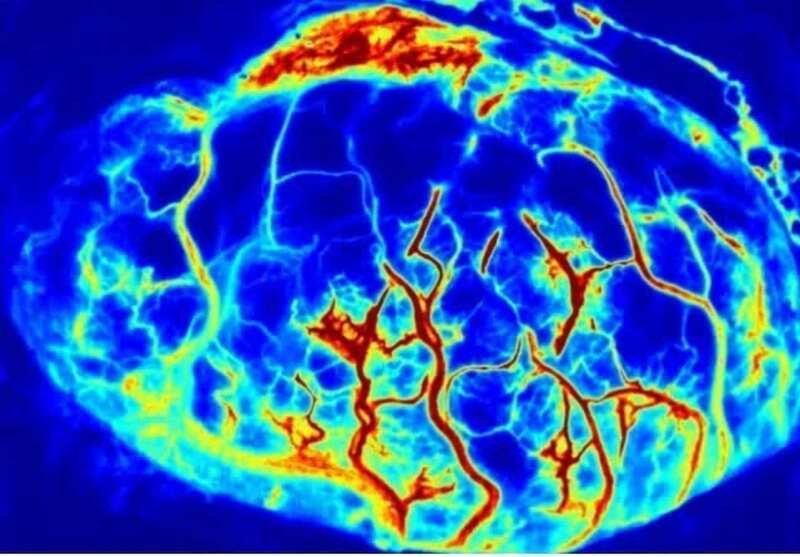 Mesenteric vessels studied with moor laser speckle. 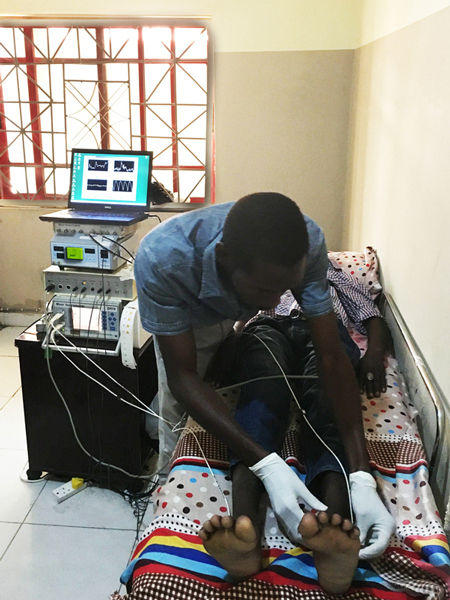 Image submitted by Yunus Abdulhameed, Lancaster, UK - measurements on malaria patients which was conducted in Murtala Muhammad Specialist Hospital, Kano State, Nigeria. 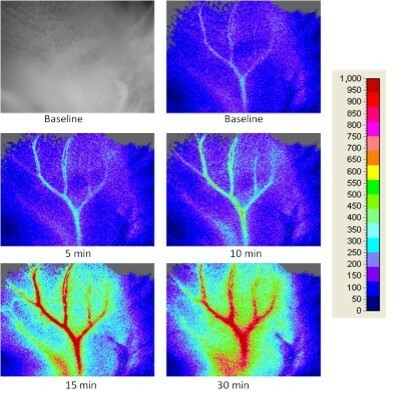 Image submitted by Dr Nils Hecht, Charite, Berlin, Germany – Human cerebral blood flow captured with moorFLPI laser speckle imaging. 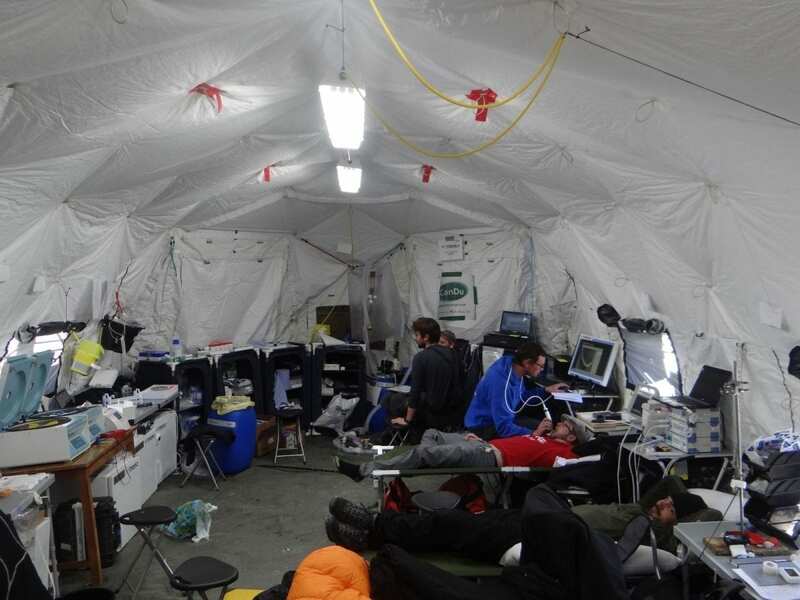 Image submitted by XtremeEverest 2013 team – Research laboratory set up at Everest base camp to study altitude effects on the microcirculation. 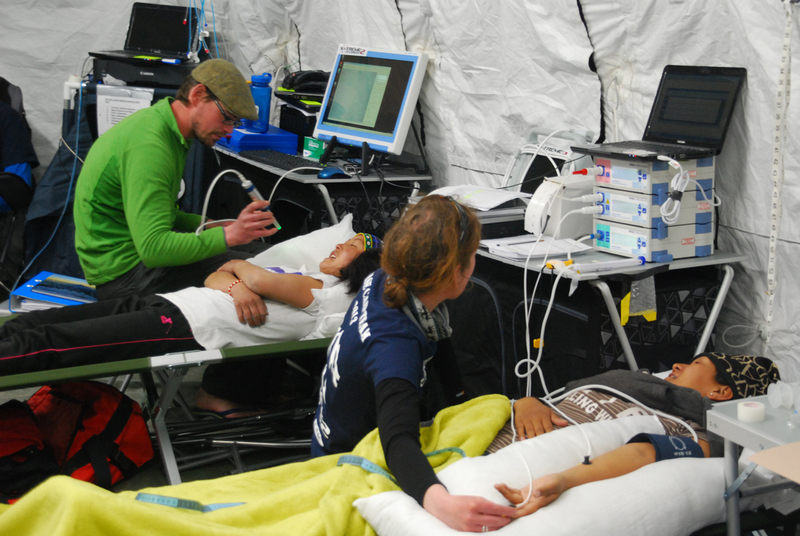 Image submitted by XtremeEverest 2013 team, UK – Inside the research laboratory. 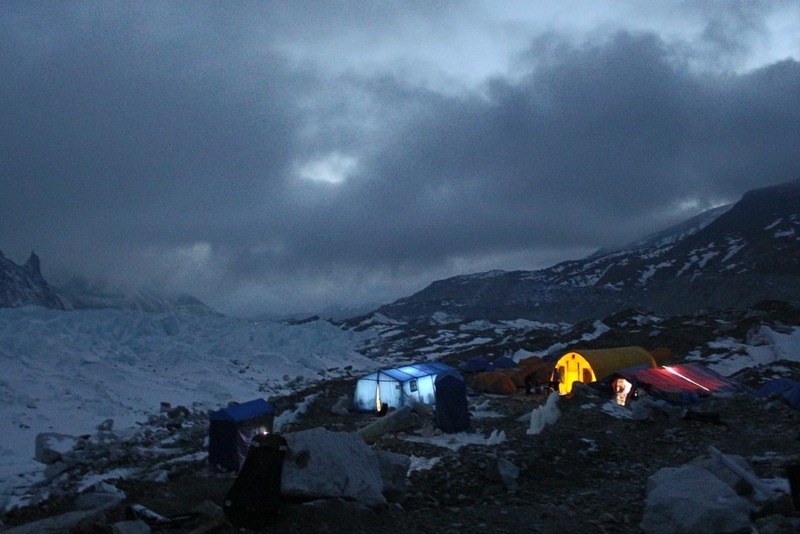 Image submitted by XtremeEverest 2013 team, UK – data analysis. 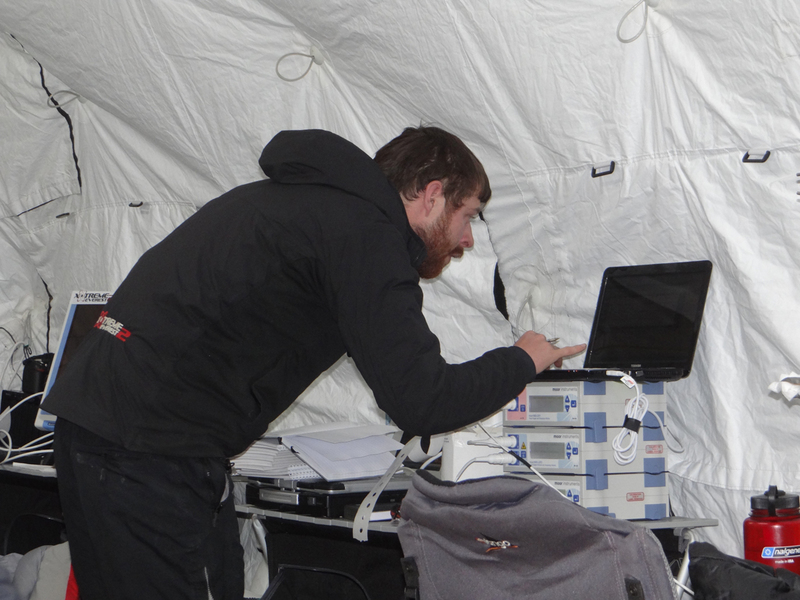 Image submitted by XtremeEverest 2013 team, UK – subject testing. 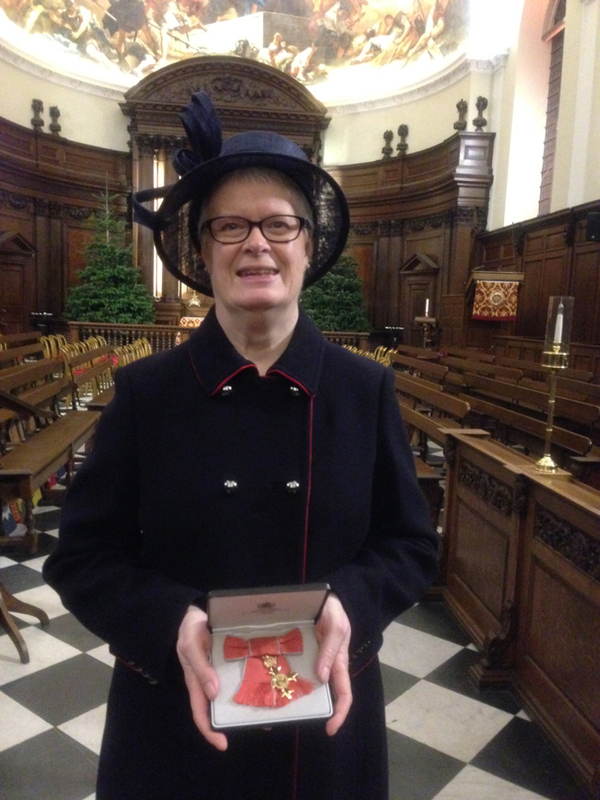 Image submitted by Dr Sarah Pape, Newcastle, UK – A long term collaborator after receiving her OBE from HRH Prince of Wales for services to Burn victims and co-ordinating response to the Bucharest nightclub fire. 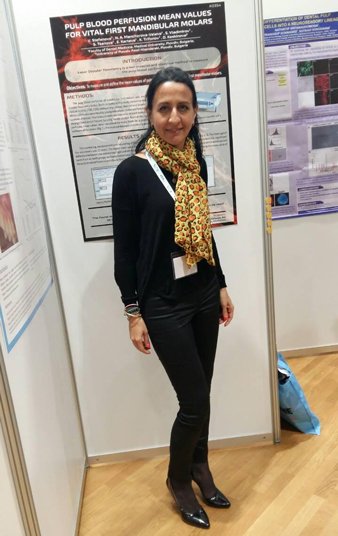 Image submitted by Dr Vesela Stefanova, Plovdiv, Bulgaria – presenting Pulp Blood Rerfusion Mean Values for Vital First Mandibular Molars, using moorVMS-LDF2. 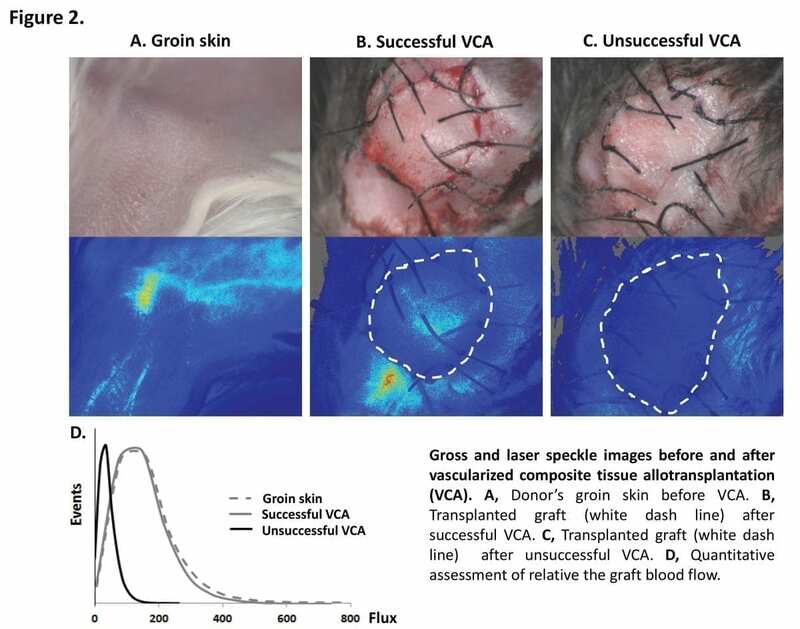 Image submitted by Dr Minhyung Kim, Buffalo, USA - Laser speckle images before and after vascularized composite tissue allotransplantation (VCA). Image submitted by Prof Faisel Khan, Dundee, UK – Students using FLPI laser speckle. 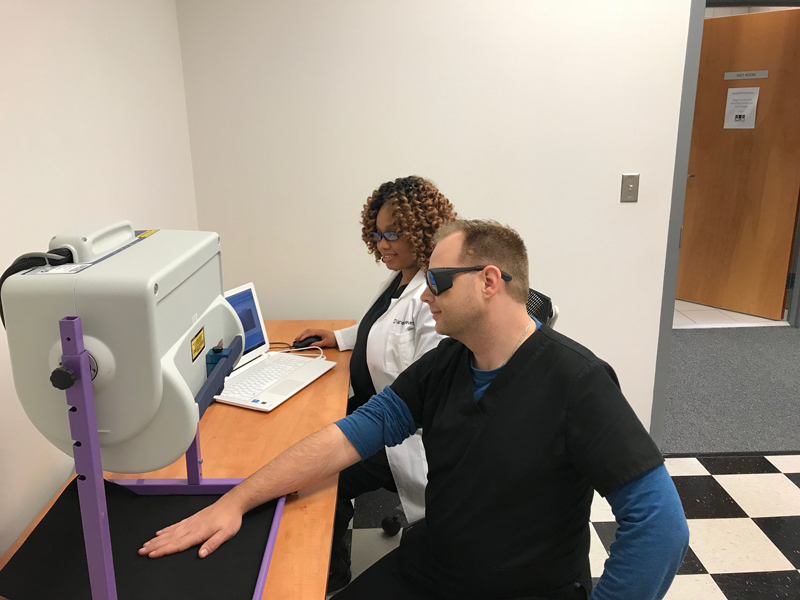 Image submitted by Shere Wallace-Morrison, Princeton, USA – Clinical Trials using moorLDI laser Doppler Imaging. 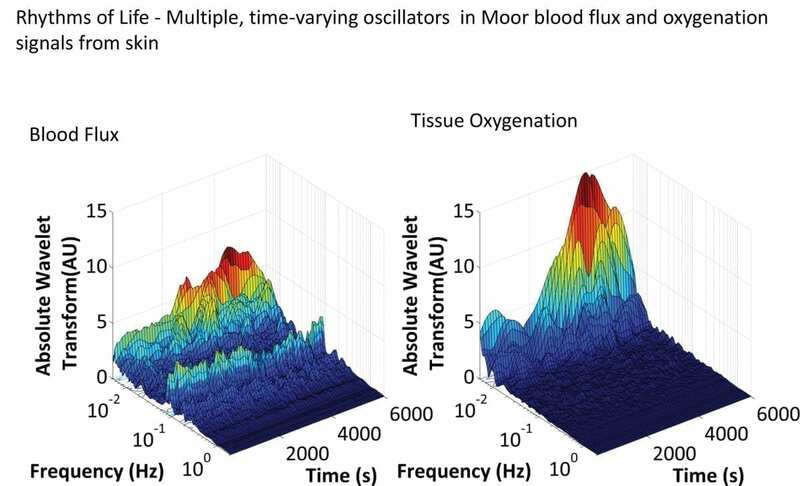 Image submitted by Prof Geraldine Clough, Southampton, UK - ’ Rhythms of Life’’ - time varying signals in skin blood flux and oxygenation using power spectral density analysis. 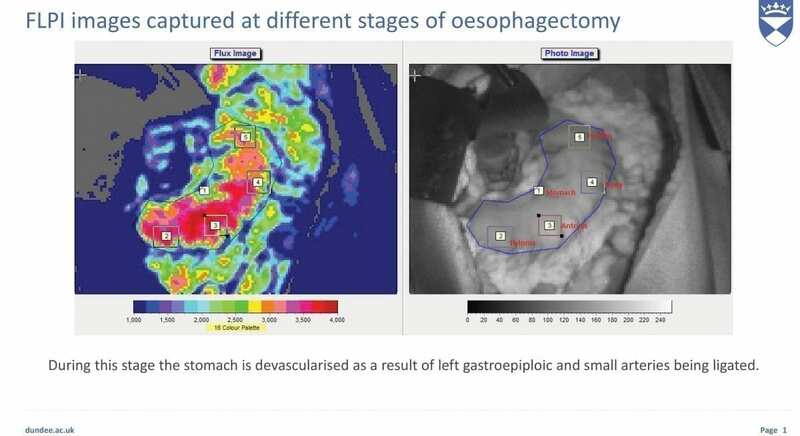 Image submitted by Prof Faisel Khan, Dundee, UK - FLPI images captured at different stages of oesophagectomy. 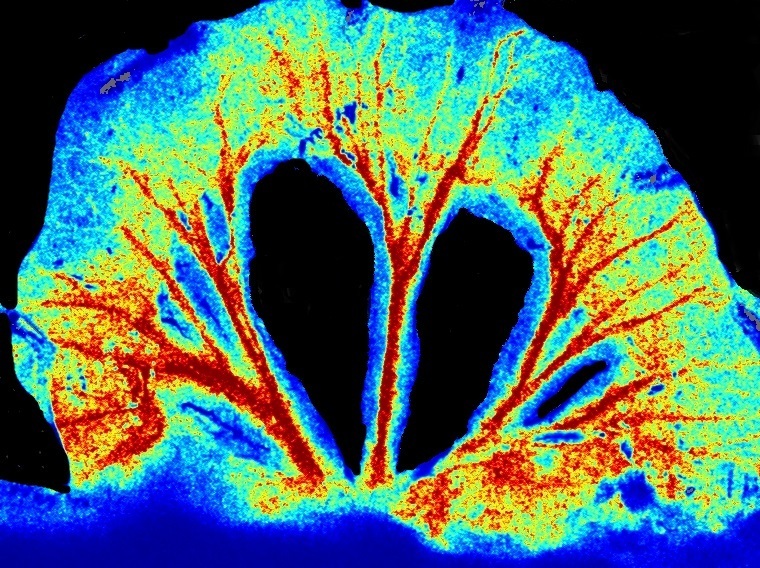 Image submitted by Prof Michael Hill, Missouri, USA – high resolution laser speckle images of mesenteric vessels. 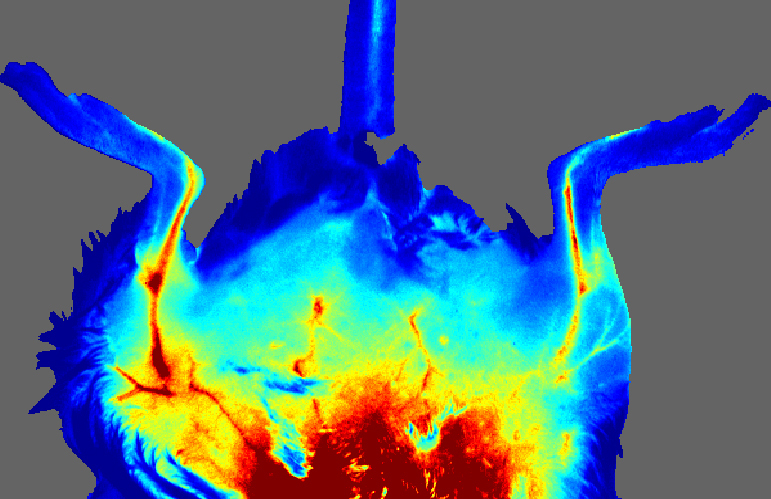 Image submitted by Prof Michael Hill, Missouri, USA – high resolution laser speckle images of HLI Model. 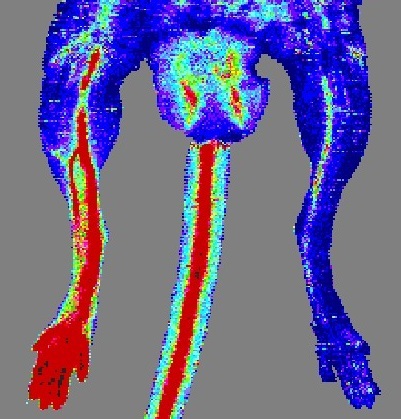 Image submitted by Cynthia To, Exeter, UK - Intra-operative assessments of zonal perfusion using Laser Speckle Imaging (LSI) during muscle-sparing free TRAM flap breast reconstruction. 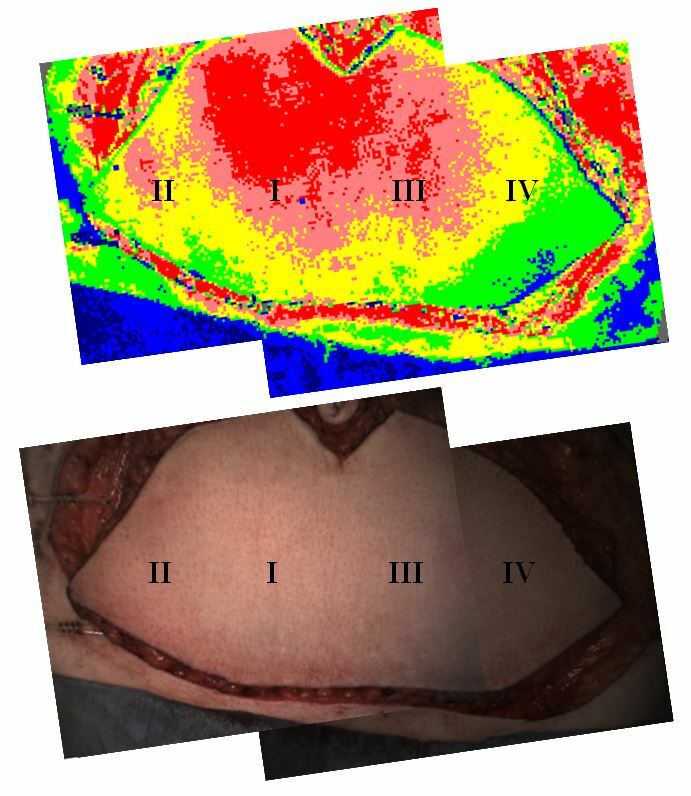 Image submitted by Dr Natalie Haywood, Leeds, UK – Laser Doppler images of HLI model, day 7 post op. Image submitted by Katya Mileva, London, UK. 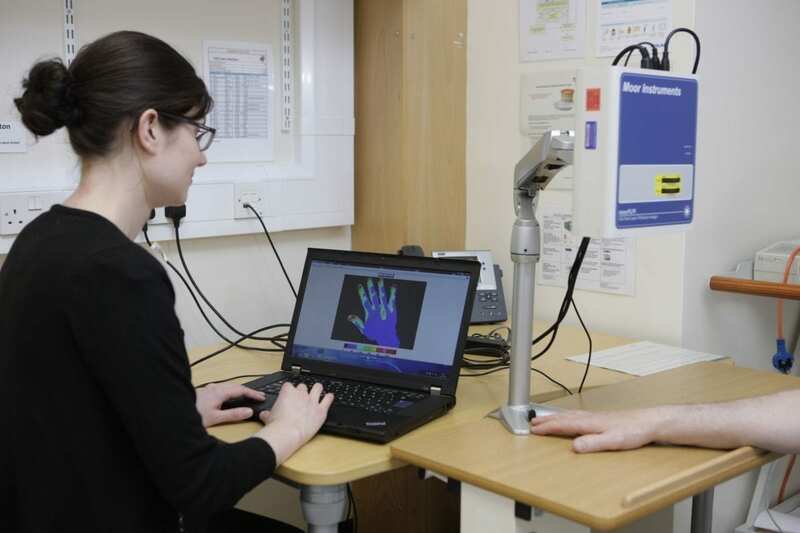 Using FLPI2 laser speckle imaging for research into sports, physical activity, health and product evaluation. 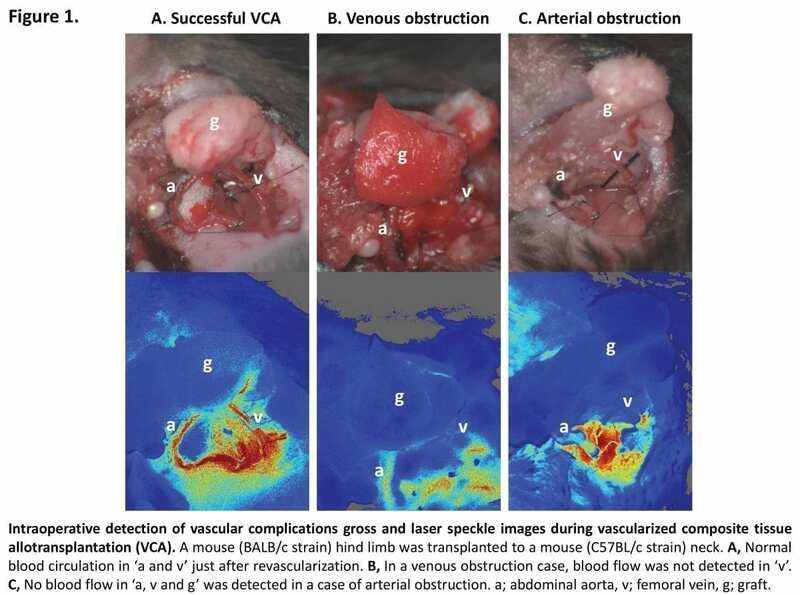 Image submitted by Dr Minhyung Kim, Buffalo, USA - Intraoperative detection of vascular complications during vascularized composite tissue allotransplantation (VCA). 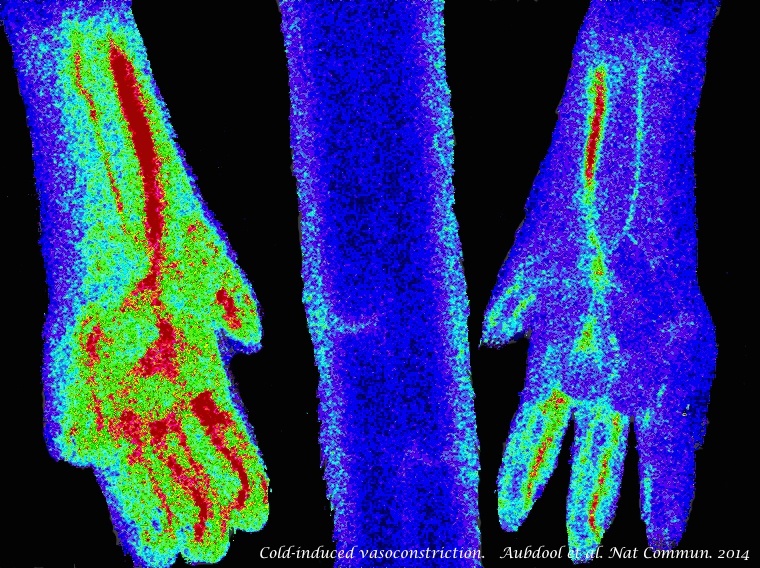 Image submitted by Dr Neena Kalia, Birmingham, UK - Blood flow imaging within the beating mouse heart during health, but also during ischaemia and subsequent reperfusion phases. Image submitted by Aisah Aubdool, London UK. 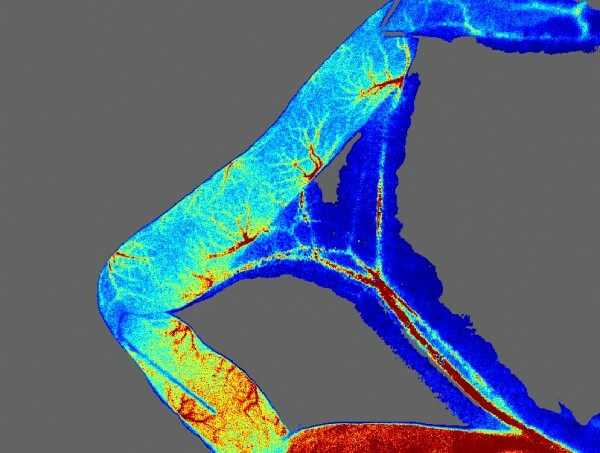 Using a topical cinnamon model to study vessel relaxation with moor laser speckle. Image submitted by Aisah Aubdool, London UK. 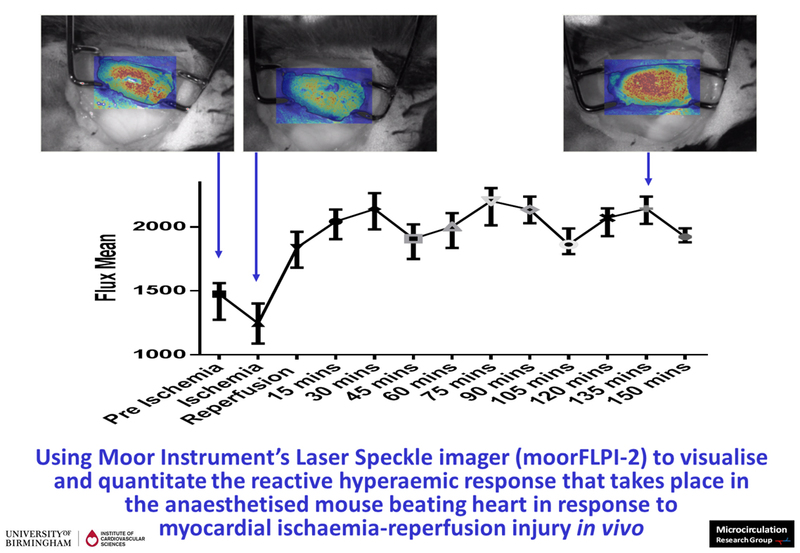 Rodent cold paw stimulation studied with moor laser speckle. Image submitted by Dr Kalia, Birmingham, UK. 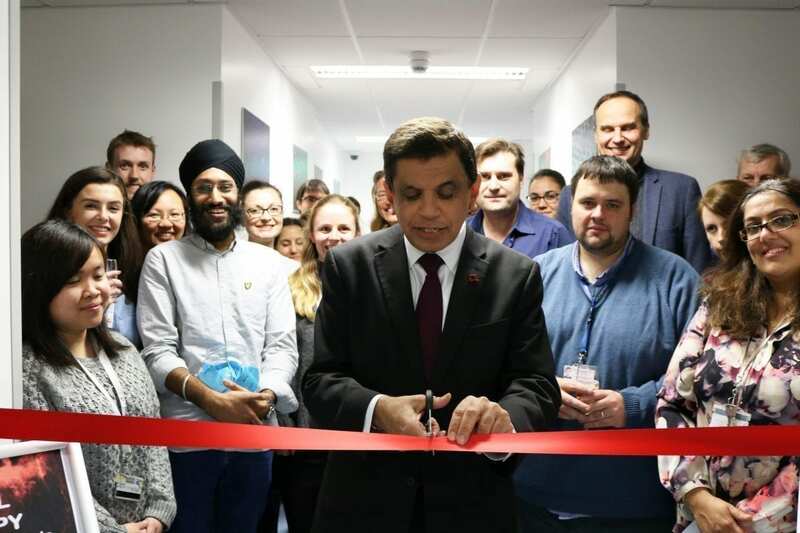 Professor Sir Nilesh Samani, Director of the BHF opens "The Kalia lab Open Day" November 2018.